If you were asleep when the "blood moon" graced the sky early today, you're in luck. The moon will glow red three more times in the next 18 months, scientists say. It's all part of a lunar eclipse "tetrad": a series of four consecutive total lunar eclipses that happen at about six-month intervals. 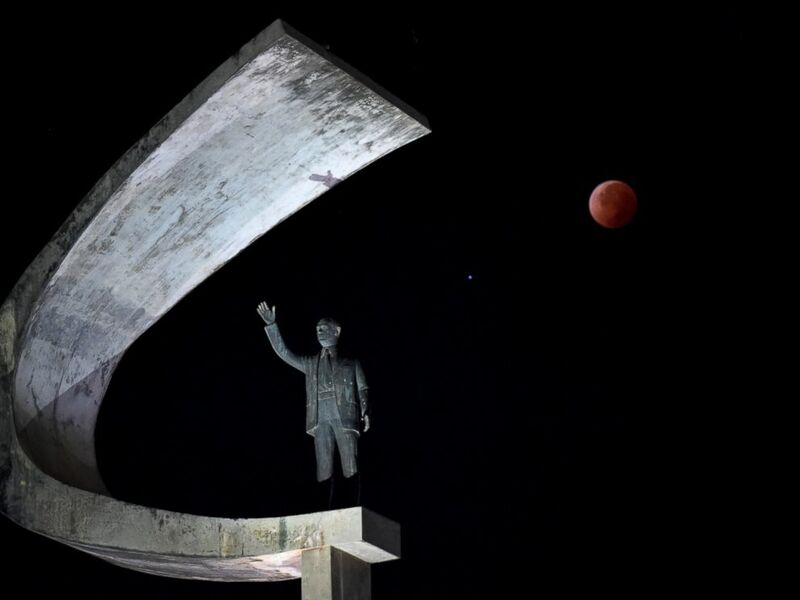 The moon during a total lunar eclipse over the Juscelino Kubitschek Memorial in Brasilia, Brazil. The next one is due Oct. 8, followed by blood moons April 4, 2015, and Sept. 28, 2015, according to NASA. There will be a total lunar eclipse on those dates, when the moon passes into the Earth's shadow, and the moon will begin to appear bright orange or red because of the way sunlight bends through the Earth's atmosphere. The sunset hue lasts up to an hour. 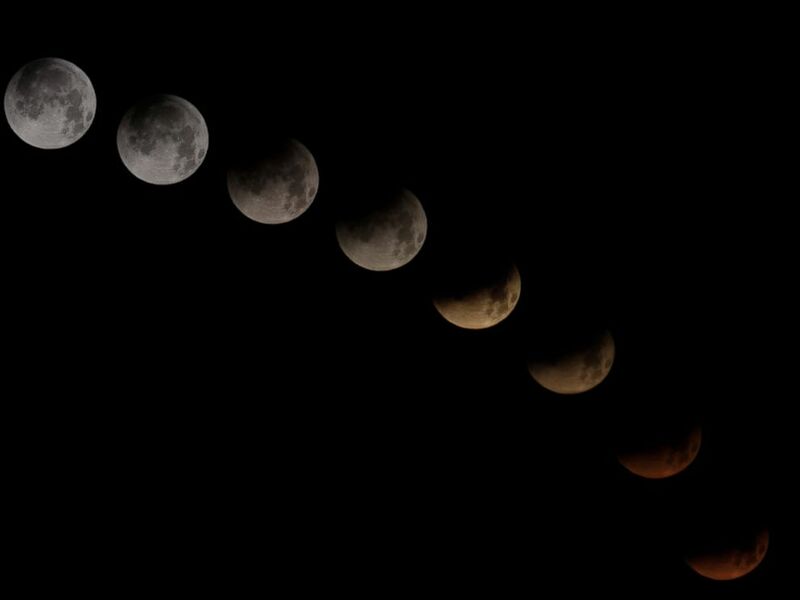 The moon appeared reddest today around 3 a.m.
A combination of 10 pictures shows the moon in different stages of a total lunar eclipse seen from the Spanish Canary Island of Tenerife, April 15, 2014. You'll have to be an early riser to catch the October "blood moon." That total eclipse will begin at 6:25 a.m. Clear skies are key and people on the West Coast will have the best view. NASA eclipse expert Fred Espenak pointed out that this lunar eclipse series is unique because all four eclipses will be visible in North America, which isn't always the case. There are about two lunar eclipses a year, but you'll only see a blood mood during a total eclipse. There are also partial eclipses, when the moon only passes into part of Earth’s shadow, and penumbral eclipses, when the moon barely grazes the Earth’s shadow, which is so subtle most sky-gazers don't even notice. 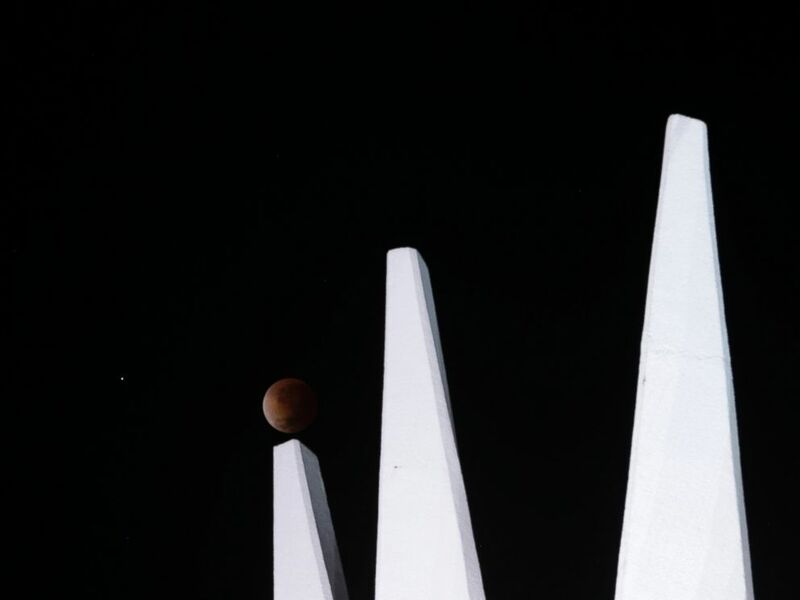 The moon is shown in eclipse in Brasilia, Brazil, April 15, 2014.